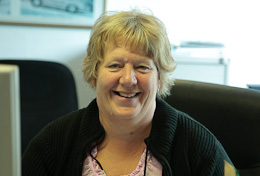 Tintern Garage is owned and run by the family team of Rob, Ashley and Liz Klinkert. 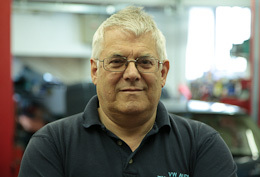 Rob originally trained as mechanical engineer and has a lifetime of experience in general and automotive engineering. He frequently attends courses to keep up to speed with the latest developments in vehicle repair and servicing, including injection systems, advanced diagnostics, diesel common rail systems, etc etc. His hobby is re-building classic cars and golf (when he can get the time!). 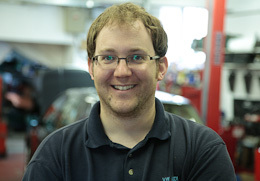 Ashley is a fully qualified and trained vehicle technician who has attended many diagnostic and engine management systems courses. In his spare time Ashley is passionate about restoring classic VW Beetles. Liz is also a keen golfer.